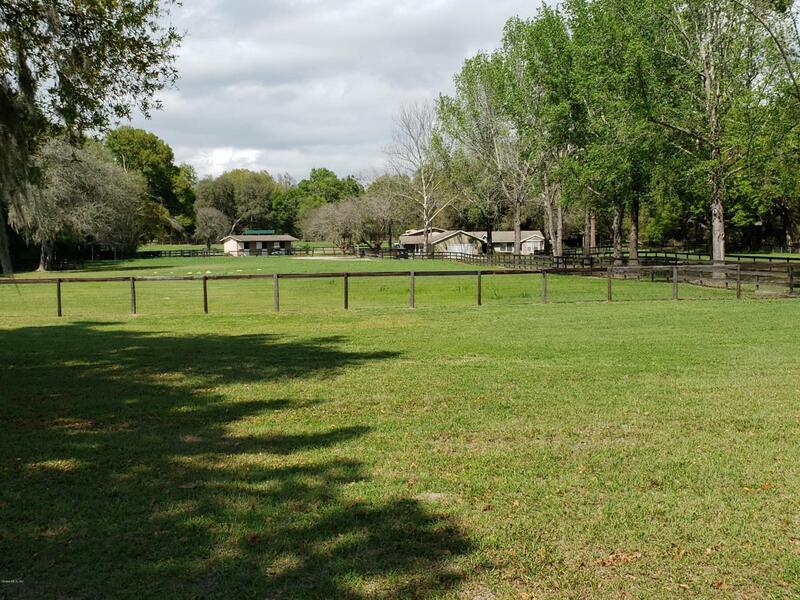 Ocala 10 acre horse farm. Lovely immaculate 2/2 home recently remodeled with granite countertops and crown moldings throughout. This bright airy house has views of horses from every room. A horseman's paradise. Long tree lined drive with paddocks on either side. Three stall block barn with wash rack, fenced and cross fenced with run in sheds in four paddocks. All paddocks have water. Regulation size grass dressage arena. Additional 40 X 36 storage barn with 2 stalls which could easily have 4 more stalls. RV hook up with it's own well, septic and electric. Located across the street from Live Oak Plantation, 5 minutes from Publix and all the Hwy 200 conveniences. The World Equestrian Center is 5 miles away and HITS is an easy 15 minute drive. Listing provided courtesy of Edward Joseph Mcnamara of Parsley Real Estate, Inc..